We now offer a solution to your snoring problems! 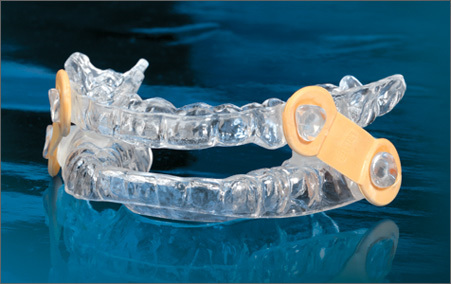 EMA devices help promote a deeper, more restful sleep by preventing snoring and relieving the symptoms of OSA. The EMA does not interfere with breathing through the mouth, even in cases of congested nasal passages. It has many options for advancement with nine strap lengths and four different elastic tension options.